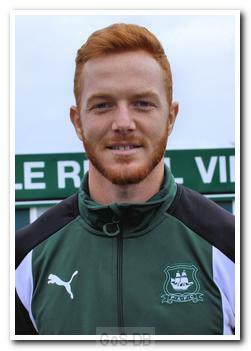 A distinctive red-headed forward, Taylor was born in Rotherham and began his career as a trainee for his hometown club. 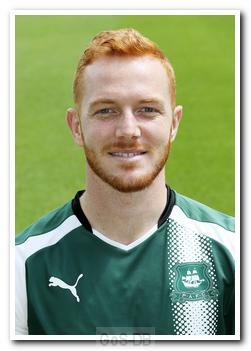 He made his debut as a substitute in his only game of the 2005-06 season, but a year later, after 13 first team appearances in his second season, glandular fever ruled him out for the rest of the 2006-07 campaign. Despite Rotherham's relegation to League Two at the end of that season, he signed a new two-year contract before being loaned to then Conference side Burton Albion on a one-month loan in September 2007. With his contract extended twice more, Taylor chalked up a total of 152 appearances and 24 goals for Rotherham, and in the 2009-10 campaign, an end-of-season loan deal sent him to Exeter City, where he helped the Grecians avoid relegation to League Two. He returned to Rotherham in time for the 2010 League Two play-off final, where he returned to the starting line-up and enshrined his place in Millers' folklore with two goals in the final at Wembley, although the match ended in a 3-2 defeat to Dagenham & Redbridge. In June 2011 Taylor turned down the offer of another contract at Rotherham to sign a three-year deal with Championship side Bristol City. Despite featuring more regularly in his second season at Ashton Gate, Taylor failed to make an impression and left the club in January 2014, with the Robins having been relegated to League One. He had made 42 appearances and scored twice. In January 2014 he signed an 18-month deal with Portsmouth in League Two, for whom he went on to make 59 appearances and net 16 times, including one against Argyle in a 2-1 Pompey win at Fratton Park in April 2015. 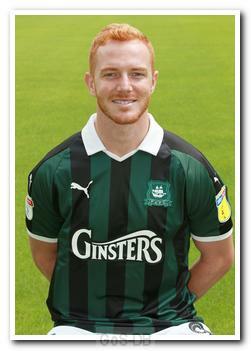 Taylor then moved to fellow League Two side Oxford United in May 2015, and helped the club to promotion in his first season with them. Although he made 58 appearances (8 goals) in his 20 months at Oxford, he was allowed to leave on a free transfer in January 2017, and became a target for Derek Adams, particularly following David Goodwillie's departure. Despite competition from other clubs, the front man became Adams' fourth signing of the month on the day before the January transfer window closed, and on the same day that Ben Purrington left for Taylor's hometown club, Rotherham United.